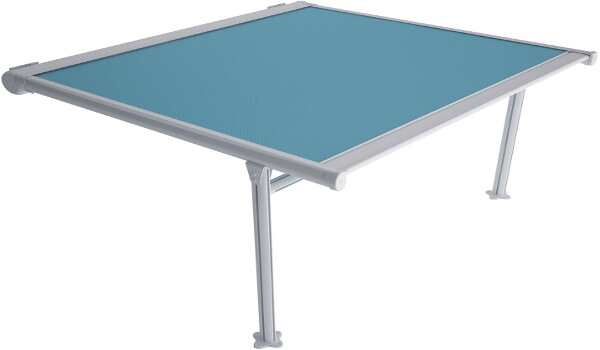 GIOTTO PLUS retractable roof awning. 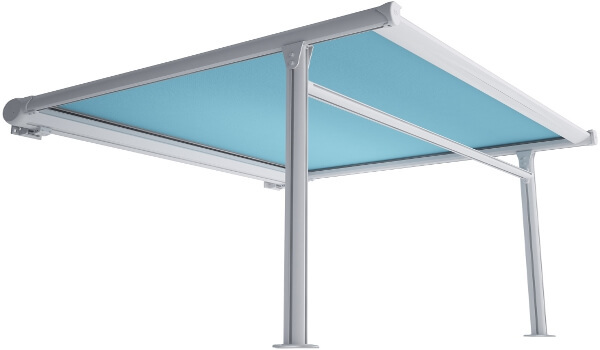 The GIOTTO PLUS is designed as a retractable sun-screen awning and the fabric is designed to be taut at all times while the front bar is in motion, whether the awning is fully extended, or stopped somewhere in between. 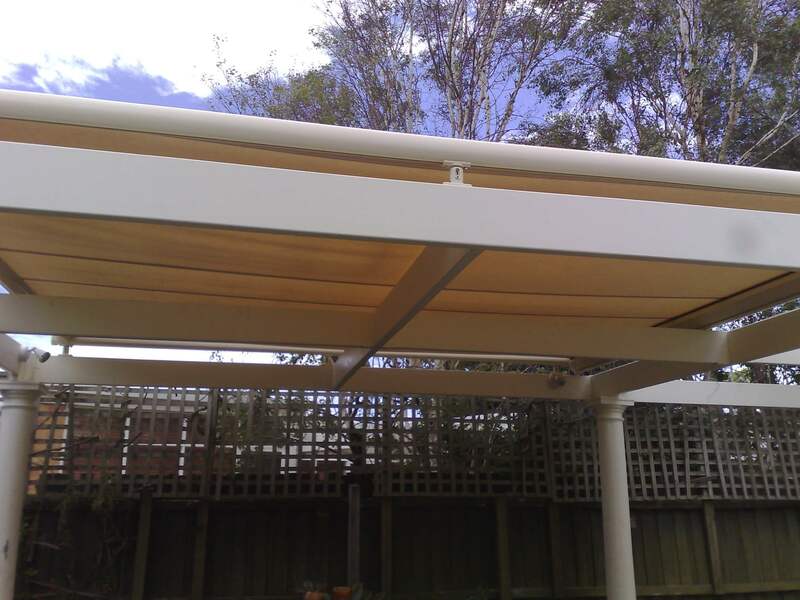 It basically serves as a pergola with the flexibility of being able to retract the awning roof when you want to enjoy the sunshine. 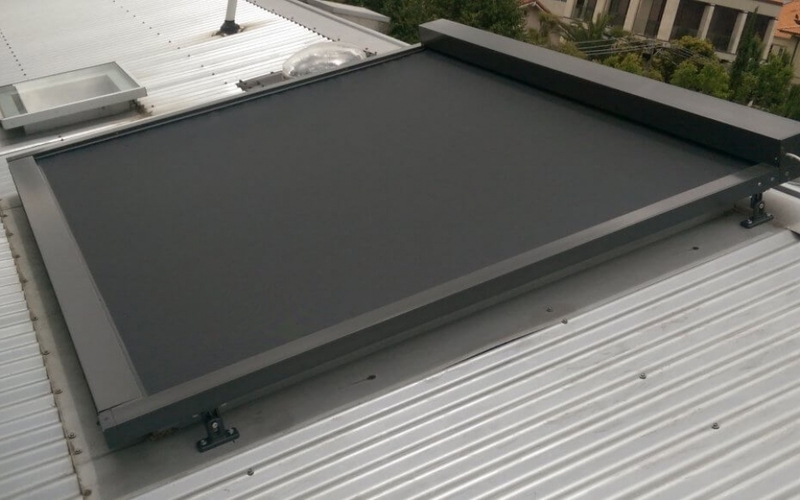 Great for any outdoor area that needs shading from Melbourne's harsh sun. 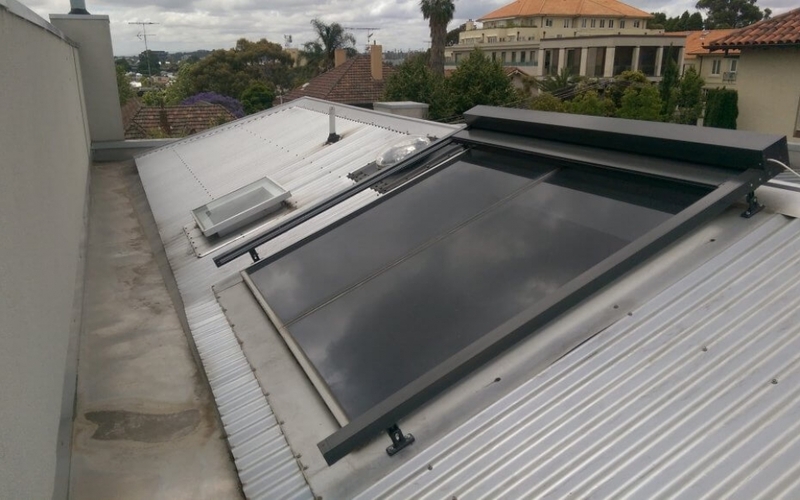 Where a self supporting retractable sunscreen awning is required for an outdoor space and a minimalist cassette profile is desired or needed due to fixing restrictions. Ideal for above glass doors or tight spaces and with the frames, vertical blinds can be attached to increase it’s useability. Ideally suited for either domestic or hospitality uses. The GIOTTO PLUS has a maximum width of 5 metres, and a maximum projection of 4 metres – large enough for most applications. GIOTTO PLUS also comes in a Twin Version – two screens each with its own motor, each able to be operated independently. 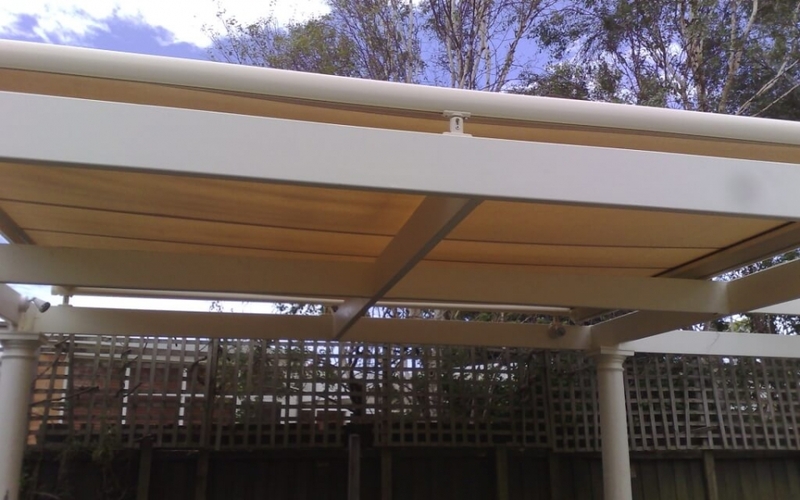 The frame helps to create a pergola and make it more resistant to winds. 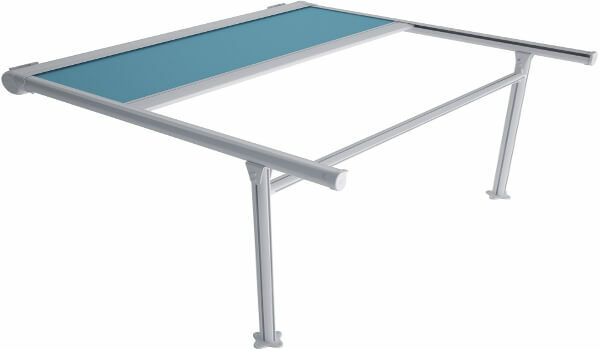 On larger projections and center bar is also provided for greater support for the fabric against wind and rain. Fully motorised, it’s easy and quick to operate giving you more flexibility and use of your outdoor area. 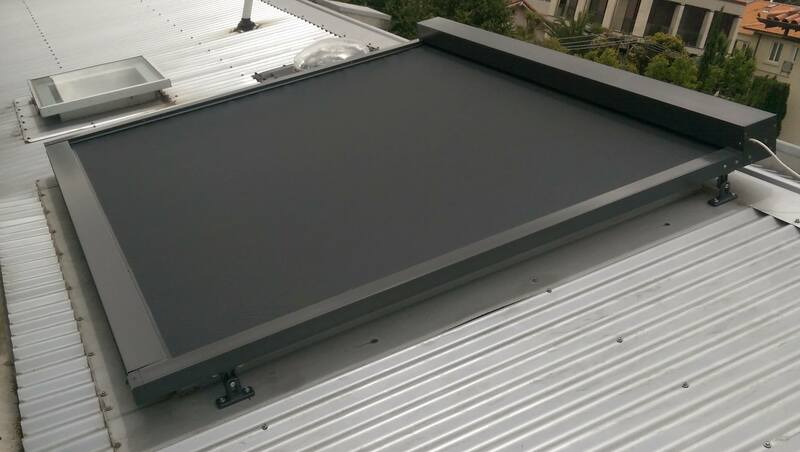 Of European design the GIOTTO PLUS is made largely from extruded aluminium, and with Stainless Steel fittings, the powder-coated finish will ensure your GIOTTO PLUS awning has an extensive life. We also use only the German Becker brand of motors and automation or the French Somfy ones. 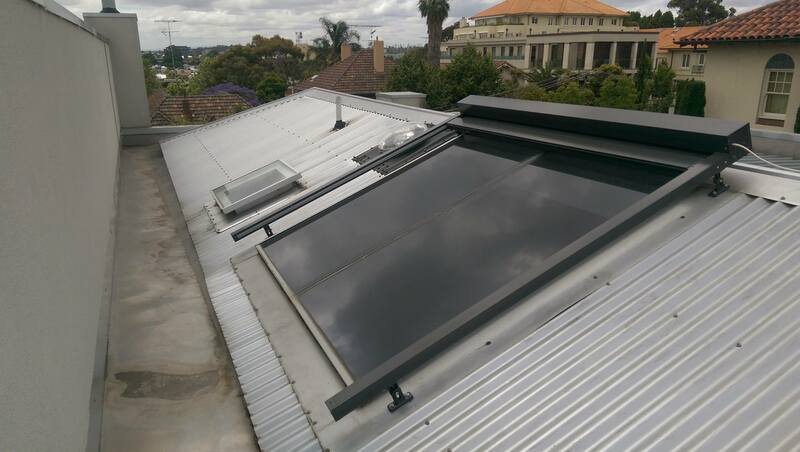 All backed with a 5 year warranty.